Talia Joy Castellano was beautiful. When she was 7 years old, Talia was diagnosed with Stage 4 Neuroblastoma. She died on July 16th, 2013. She was 13 years old. “I’m Talia, I’m 13 years old and I love makeup. “Make-up is My Wig” I like to say. She absolutely loved make-up. Her You Tube channel, taliajoy18, included make-up tutorials about how to effectively use eyeliner and matte bronzer, the difference between make-up for days and make-up for evenings, the latest in lipstick shades, along with hundreds of other tips. It also included updates and personal videos about her cancer treatments. Taliajoy18 had over 750,000 subscribers. In September, 2012, Ellen DeGeneres invited Talia to appear on her TV show and revealed that CoverGirl had named Talia an Honorary CoverGirl. She actually got to a few. No. 60 – Help a newbie with cancer. She asked her Facebook fans to head out to do some of the things for her, in case she didn’t get a chance to perform all 76 wishes. To this day, her fans are still keeping Talia’s dreams alive by completing her bucket list, then posting their shots on Facebook. No. 10: Water balloon fight. No. 3: Dance in the rain. “Talia woke up again and asked for more to drink. Her family and friends in the room started showing her the packages and fan mail again. After a few minutes, Talia paused. during this most difficult time. on this Earth during the short time you were her with us. But even more beautiful was her bubbly outlook, her courage and determination in the face of her cancer. Her wanting to reach out to others by educating them about make-up, childhood cancer, and being a teen-ager. Her continuing to offer hope and inspiration by jotting down and sharing her own bucket list of 76 dreams just 5 days before she died. Her smile was huge, her heart even bigger. And her soul – her soul limitless. And eternal. 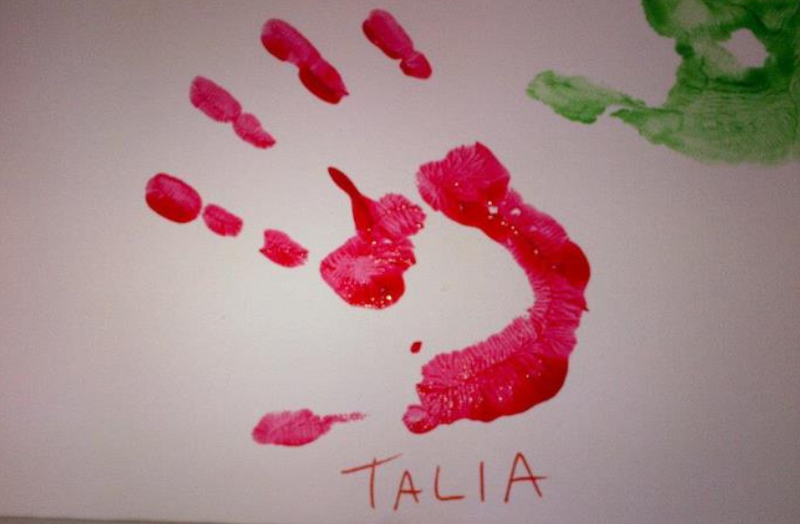 Talia Joy Castellano lives on in her “Angels for Talia” site on Facebook. In every person who carries out one of her 76 “Things I Wanna Do Before I Die” in her memory. In every person who reads about her, watches her You Tube videos, or smiles when they see her picture. Talia’s No. 41 on her list is simple: Be loved. One more to be crossed off your bucket list, Talia. Most certainly, you are, and always will be, loved. Thank you for inspiring those of us left behind. Your spirit shimmers and dances with light.